Successful completion of another record breaking event. 502.5 sqm of Unilumin P3.9 single batch production. #ICYMI This award is dedicated to all our team members working tiressly behind the scene, to our business partners that supported us throughout the project and to our valued client for your faith and business opportunity. 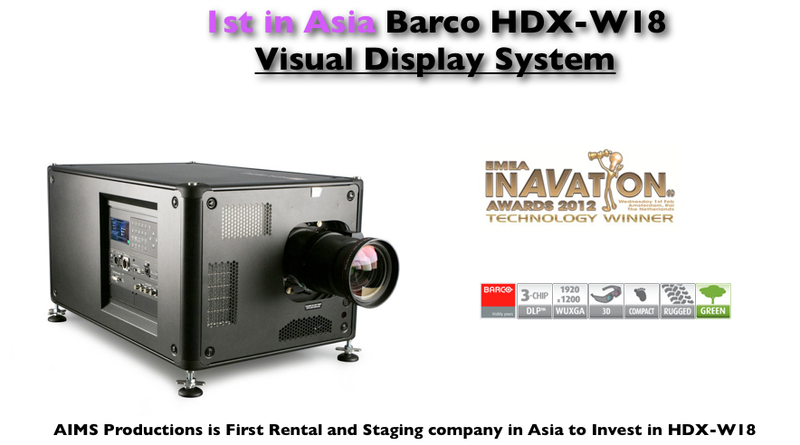 Once again THANK YOU #Barco for the recognition and prestigious award. .Let there be light! A project for Hogart. The last of the current series of MOM roadshow. This key to the success of this project is to create awareness, engaged the general public and most importantly to provide public education via interactive content and platform. In support of this roadshow, our team successfully developed two interactive games and one financial calculator to support our client's overall intent. This project also witnessed the deployment of a queue management system to facilitate the flow of public consultation. A project for CSP Productions. The project saw the provision and operation of an outdoor #LED visual display solution. A total of 180sqm of #Unilumin GslimS04 were deployed over three IMAG screens powered by #LSC Advanced Power System and #PowerBox Cube 125A power distribution boxes. The #Novastar Phobos series MCTRL R5 LED rental display control system supported all the screens configuration using SmartLCT while the video signal were transported over #Opticis LC-LC SM quadruplex fiber optic cables via Novastar fiber converters CVT4K-S and 10G fiber SFP transceiver modules. 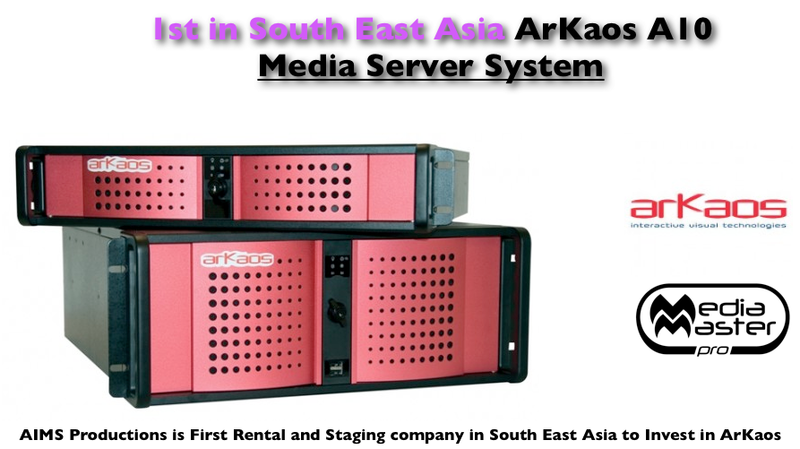 The show multimedia control system was managed with #Magnimage MIG-H8 event console and MIG-V6 video processor. A project for Hogart. #Unilumin #GslimS04 #LEDdisplay, #LSC #APS PDUs, #Novastar #Phobos #MCTRL4K LED display controllers in action for MOM #Roadshow. Big or small project, we do them all. We continuously strive to design and engineer a reliable visual production system that is efficient, scalable and flexible to accomodate for different applications. Merry Christmas from all of us! Here’s to a season of ❤ and harmony. 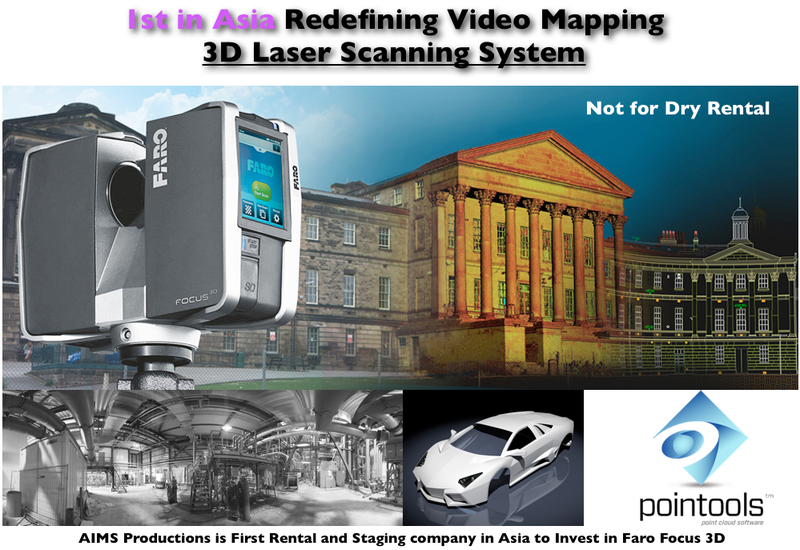 #ICYMI WE strive to introduce and implement world class state of the art technologies in our project(s), Nuff said. Let there be light! Selamat Hari Raya Aidiladha to all Muslims. After 4 months of concept and design planning, 3 months of ground installation works with lots of endless nights. We have finally delivered the largest indoor permanent projection screen in Singapore and possibly in South East Asia. For our fans, we bring to you more than 400K lumens of lights, 31K wide pixel resolutions and 1545 sqm of the projection screen. For the football fans, come and enjoy the mesmerising viewing experience. A project by Hogarth. RGBlink #Venus #X2 made her debut together with Glux LED Screen Rental P3.9 for the launch event. The H.264 IP streaming allows remote source preview and the ability to seamlessly switch between six layers plus a background for presentation operation makes the video processor a great tool for events. It is known that a system is only as strong as its weakest link and as such we have chosen for the media transport from the X series processor to the visual display system rides on Opticis USA, LLC HDFC-100 (HDMI Active Optical Cable). The advantage of the cable is its ability to transmit 4K@60Hz signal up to 150m while avoiding data compression during transmission. A project by AVL Services. A project for Dynasty Travel. Private event with a renowned Pakistanis band, RFAK. Second last event for 2017. 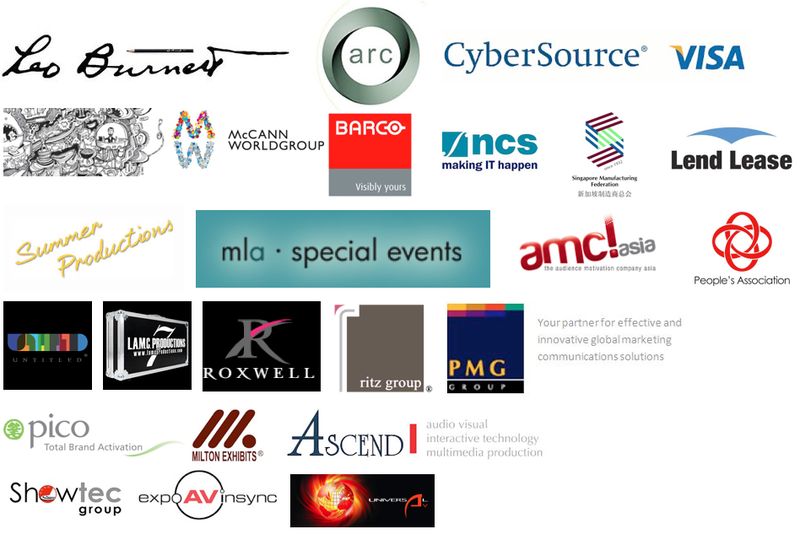 AIMS Productions (AIMS), a Singapore based Professional Audio Visual Multimedia (Pro AVM) production company specializing in Multimedia for Live Events. At AIMS, we specialise in the design and implementation of cutting edge Audio Visual Lighting products, providing statement, interactive technologies to support creative agencies, media planners & buyers, media owners, events and permanent installation to produce startling and exciting works. Our mission is to help our client to realise their dream in the development and translation of their creative ideas to optimise the effects of the technological products with ground breaking solutions. We aspire to develop original future projects to make a statement of purpose, meaning and value. The team in the integration department are focused on providing your events, exhibitions and parties with special effects to ‘wow’ guests, as well as advanced lighting and projection solutions. Our visual and projection team are constantly pushing the envelope for innovative large format projection using both film based show projector, digital based video projector and Interactive Multimedia. Large Format Projection is a visual art that can come in the form of Video Projection, 3D Architectural Projection, Beam Projection, Stage Projection Design, Projection Mapping and Dome Projection. Our team converge the art of audio with light onto structures and surfaces for a wide variety of applications. 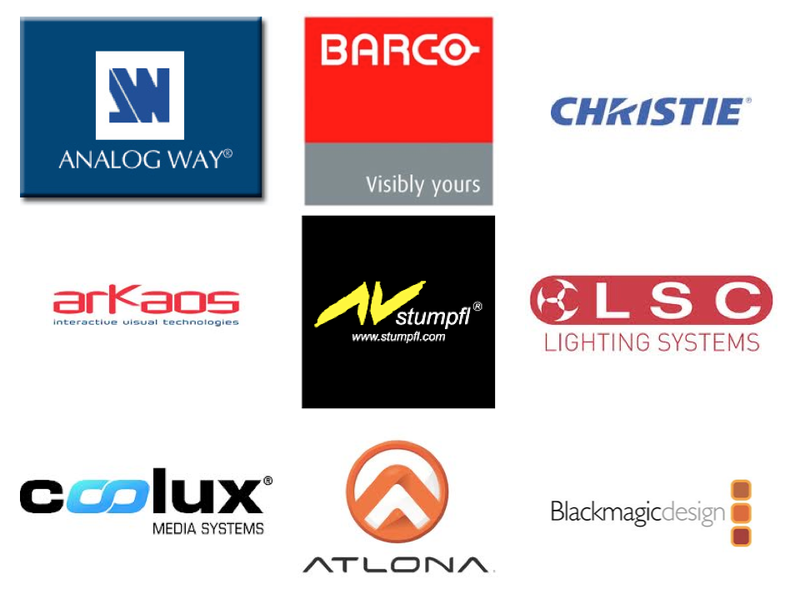 Our sales division is dedicated to sourcing and integrating the latest AVL technology, and providing expert engineers and professional advice to create the ideal AVL solution for your next installation. 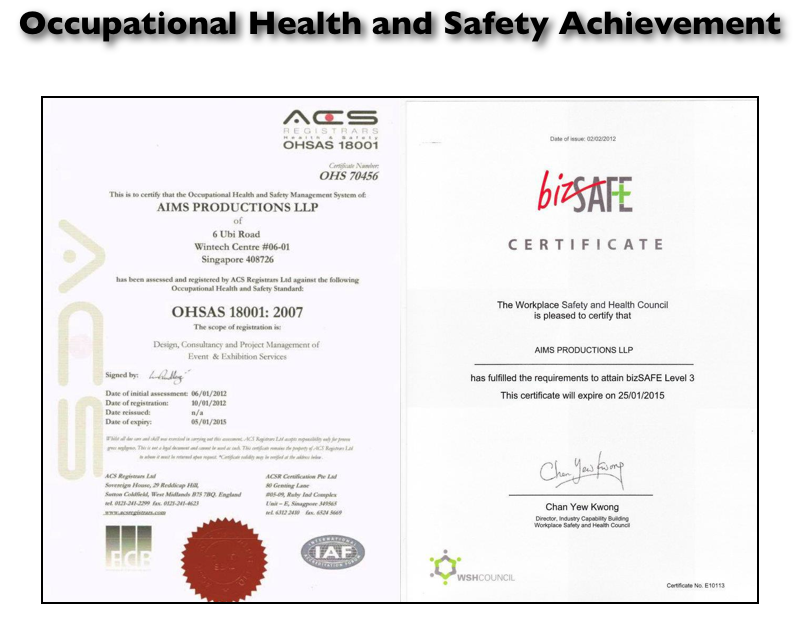 It is with great pleasure for the management of AIMS Productions to announced that we have achieved OHSAS 18001: 2007, bizSAFE Enterprise Level 3 and one of the few companies in Singapore to receive the bizSAFE Star certification on January 06, 2012, January 25th 2012 and 10 September 2012 respectively. The management at AIMS Productions have since 2012 put in place a set of practice to support all WSH policy and standards for Occupational Health and Safety as would encourage our clients and suppliers alike to implement this measures. The key principles of the Workplace Safety and Health (WSH) Act are to reduce risks at source, increase industry stakeholders' ownership and focus on achieving good WSH outcomes and systems rather than complying with prescriptive requirements. OHSAS 18001 is an Occupation Health and Safety Assessment Series for health and safety management systems. It is intended to help an organizations to control occupational health and safety risks. It was devloped in response to widespread demand for a recognized standard against which to be certified and assessed. At AIMS, we understand our client constant demand for high quality still and moving images. We delivers the content through our high quality high powered projection system using either and/ or both the film and digital based projector. Today, the use of Large Format Projection allows our clients to explore alternative communication medium for branding, advertisement and/ or display customised content on large surfaces. Projectors does not have structural requirements, thus enabling their use on landmark buildings with no architectural transformations necessary. Projectors are also advantageous in that they allow advertisers maximum flexibility: multiple advertisements are possible and this medium also permits advertisers to change their advertisements whenever they need to, in a cost effective manner. The emergence of high powered digital projectors and convergence of lighting and video sees the introduction of digital moving luminaries, which permits the delivery of moving images or content from small venue to extreme large projected surfaces. We are confident that the projectors have arrived will add a new dimension to the advertising, marketing and events industries. 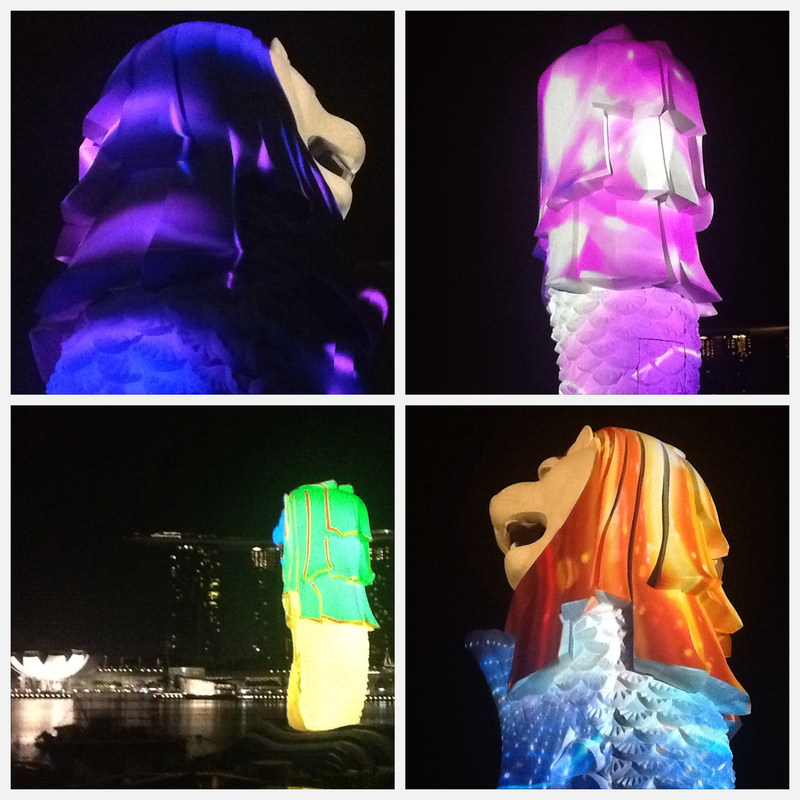 We continually educate our clients to recognise the tremendous potential of this equipment and its ability to transform a city's many high-rises into visually spectacular monuments. AIMS work with the state of the art command and control system. We work closely with our client to determine their most stringent requirement thus optimizing the system to the best effect. From Input to Output, we defined everything in between. We work with our partners across Asia to bring to the fore the cutting edge technology has to afford to the making of Experiential Multimedia experiences. AIMS completes with a group of creative and highly energise members and work in tandem with our client on projects development to delivery, in short from cradle to grave; conceptualisation stage, story boarding, designing of the projects, technical specifications to operations. Our clientele generate this demand for content. We dream, explore, innovate, create and delivers with newer and faster delivery platforms and devices through which information and entertainment will be distributed and broadcasted. The result is the extreme - immersive and interacive works. Each and every dollar has to do more and go farther than ever before. By allowing AIMS to partner with you; whether for working on complex AVL projects, both large and small, we can do it all! You can place one call, to one location, speak with real people who will treat your project or event as if it were their own. AIMS strives to develop lasting relationships by working in partnership with our customers and suppliers and all others involved in the project. We consider ourselves your partner and we want your project to exceed your goals and expectations. We have immediate access to a large number of highly skilled audio-visual-lighting engineers and technicians. 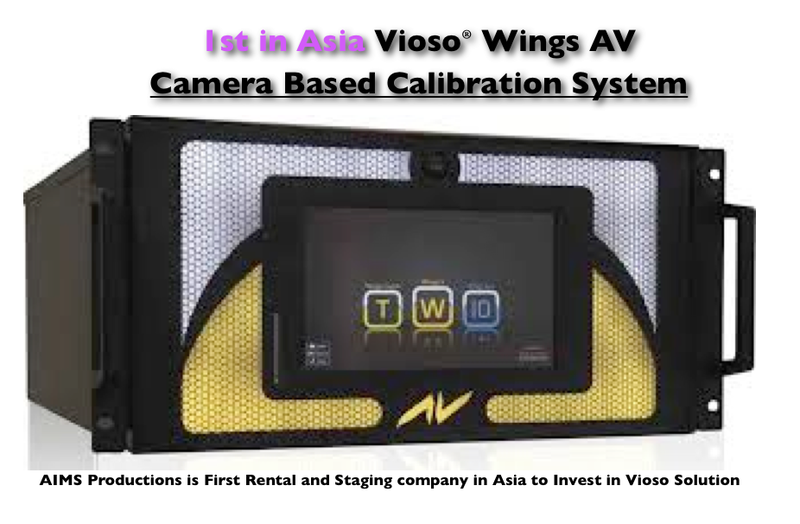 Our strong relationships with AVL product manufacturers further ensures your peace of mind. 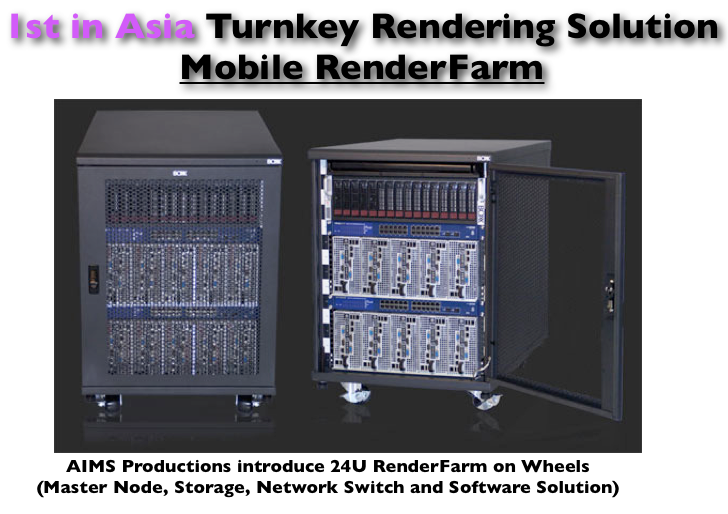 AIMS Productions develop and build our Multimedia System around our Media Server(s) to serve the complex requirements for the M.I.C.E. and Entertainment Industry. 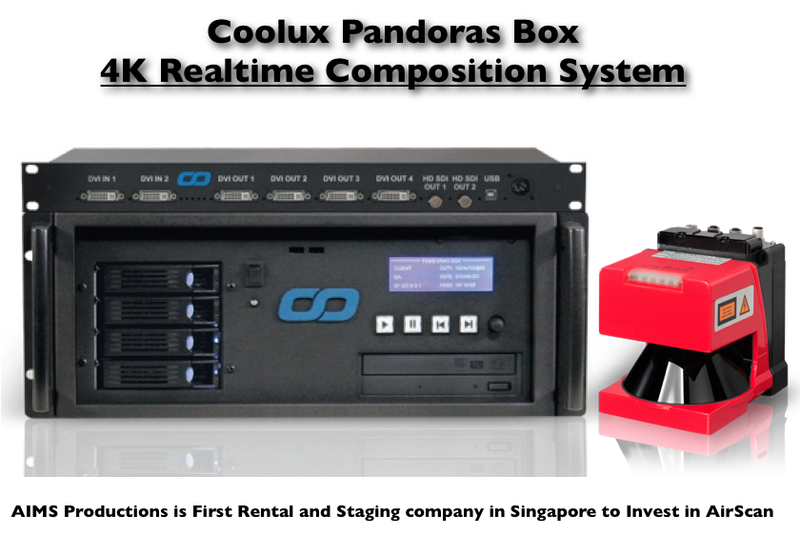 We have equipped ourselves over the years with multiple Media Server platform and will continue to invest in 3D technology and the future of entertainment.